"All Year, Every Year: Summer" is the third out of four EPs. 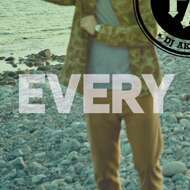 "All Year, Every Year: Spring" is the third EP taken from Professor P & DJ Akilles upcoming album "All Year, Every Year". The album is divided into four EPs and each EP is named after a season (and released on vinyl influenced by the seasons colors). The EPs will be released throughout the year and if you buy all four you will be able to form the cover for the full length album.